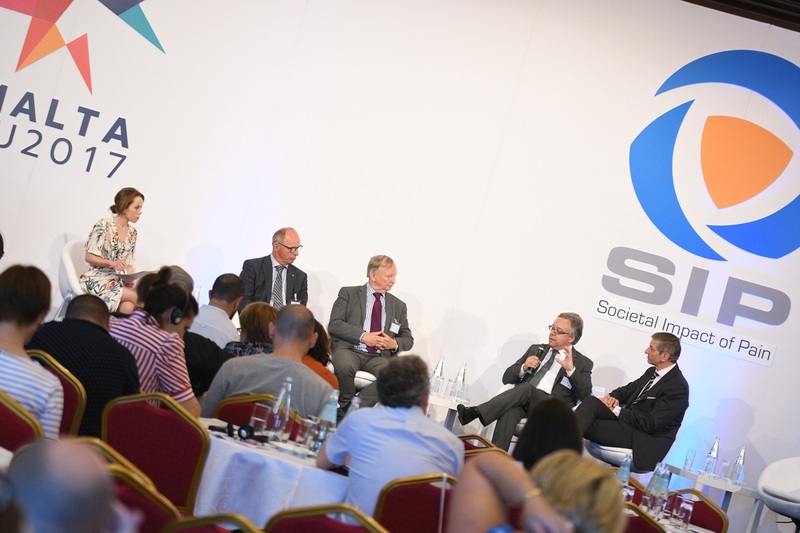 On Friday, the 7th annual Societal Impact of Pain (SIP) symposium came to an end in Valletta. 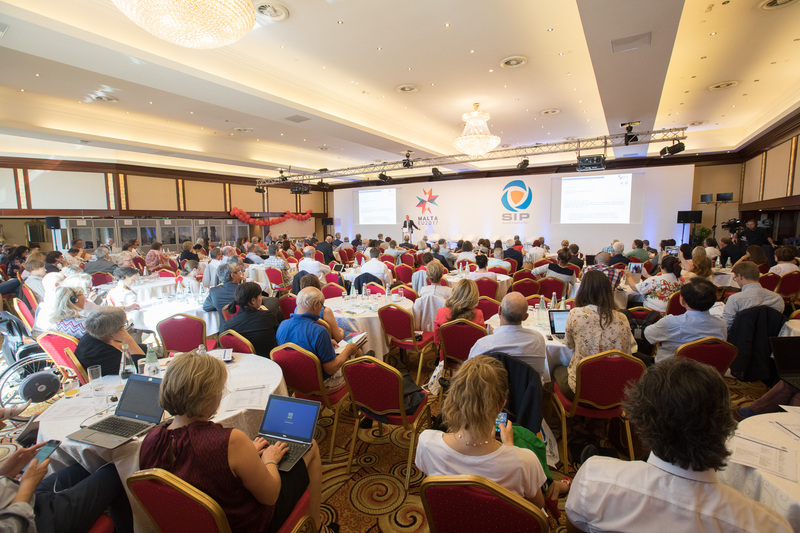 The event brought together more than 300 participants, including healthcare professionals, pain advocacy groups, researchers and specialists in the field of pain as well as insurers and European politicians. According to the experts, more than 100 million people in the European Union are suffering from chronic pain. The platform aims to change health care policy in the European Union and alleviate the negative effects of pain on society. For that, participants worked on clear policy recommendations for two days and presented these to the plenary. As a result, they might change the World Health Organizations’ classification of chronic primary pain and convinced the European Commission to recognise the societal impact of pain and to implement an expert group in the newly launched EU Health Policy Platform. One of the major outcomes of this year’s SIP symposium is the announcement made by Martin Seychell, Deputy Director General in the Health and Food Safety’s Directorate. In a speech on Friday, he made clear that the European Commission is following SIP’s lead and has launched the EU Health Policy Platform to build a bridge between health systems and policy makers. Among other health policy areas, the societal impact of pain is included as well and will have a dedicated expert group. Ultimately, the expert group that is to be composed will be an instrument that enhances best practice sharing across EU member states, in coordination with the Commission. Once fully functioning, public health groups in all areas, employers’ organizations, insurers, economists and even digital stakeholders are to be involved. The EU Health Policy Platform operates in two ways: online discussions and collaboration as well as face-to-face meetings to host targeted thematic discussions. The platform the European Commission has launched contributes to the objectives SIP is pursuing and formulates in its policy recommendations. “The European Commission’s initiative reflects the Maltese Presidency’s goal of structured cooperation between healthcare systems. It is a huge step forward for patients throughout Europe, and a huge gain in momentum for our efforts,” said a delighted Gertrude Buttigieg of the Malta Health Network, a patient organisation that co-hosted the symposium. Another significant milestone that materialised during the symposium was flagged by Dr Robert Jakob, a medical officer at the World Health Organisation (WHO). He announced that the global institution setting health policy standards has proposed a new definition of ‘chronic pain’ which could see care for pain patients improve significantly. This classification is to be included in the newest catalogue of the WHO’s International Classification of Diseases (ICD). The classification of chronic primary pain as a disease should lead to governments taking a new interest in pain and how their health systems assess and treat it. Governments usually follow the ICD when they are altering their health systems and considering which services to fund. It also informs clinicians and researchers alike. Now, chronic primary pain is likely to be included for the first time when the current ICD process concludes. What’s in it for Malta? Apart from pan-European policy making, the symposium also hosted a session on the impact of pain on the Maltese society. 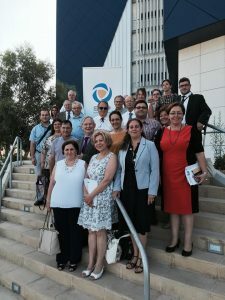 Initiated by SIP Malta, Malta Health Network and the No Pain Foundation, participants outlined how various Maltese organizations, which are engaged in improving health care, collaborated to address the issue of chronic pain. In the consensus paper they developed, they call for national policy makers to adopt nine policy recommendations throughout Malta as part of a National Pain Plan by 2020. “Maltese pain management policies and services should be restructured and more streamlined towards European guidelines. Moreover, local authorities should put greater focus on retraining and reintegration of pain patients into the workforce since it not only poses economic benefits but also improves social advantages on individual level,” reasoned Buttigieg. Representatives from the Maltese European Parliamentarians’ office, Maltese Parliament, Ministry of Health, Service providers, professionals, patients and citizens’ organisations have agreed to work together to address the common theme of pain. This decision was taken during a stakeholders meeting held on July 8 2016 in preparation for the 2017 Societal Impact of Pain (SIP) Symposium (8-9 June 2017) which is an event on the Calendar of the Maltese Presidency of the Council of Europe. European statistics indicate that approximately 20 percent of Europe’s adult population, more than 80 million people, suffer from chronic pain, meaning pain which occurs repeatedly over a period of three months or longer. Some 9 percent of Europeans experience pain every day. Chronic pain accounts for 500 million sick days a year and is the most frequent cause of early retirement and incapacity for work. The total direct and indirect costs of chronic pain amount to an estimated 1.5 to 3 percent of total European GDP. The burden on Maltese society in real terms still needs to be studied, but based on the results it is desired that this collaboration will lead to the development of policies and practices for the benefit of the Maltese society, possibly leading to increased momentum on the continent. The diverse audience at the meeting was presented with the work carried out over the past seven years of SIP, but focused mostly on the recommendations agreed upon during the 2016 SIP Symposium that took place in Brussels on the 23-24 May. Participants discussed the socioeconomic implications of pain and policy solutionsto this burden both for the individual and society. The recommendations look at various issues: ranging from the fact that pain is considered an important element when a patient requests healthcare in another member state under the Cross Border Directive, to the need of Chronic Pain being recognised as a chronic disease, and also pain in cancer patients. The recommendations look at the relationship and implications of pain and/on employment, and the need for more research and education on the topic for professionals, patients and general public. The final recommendation was the need for the establishment of an EU-wide platform built by organisations from different countries. These recommendations may be accessed on SIP Recommendations 2016. 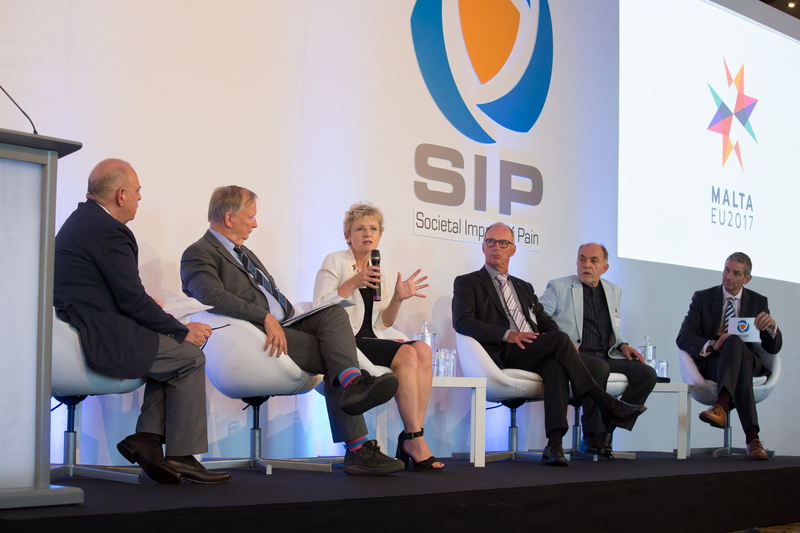 Following this September meeting, the SIP Malta platform was created, and began to work together in an open coalition encompassing a wide range of organisations to address the societal impact of pain. The objectives of SIP Malta are to raise awareness of the relevance of the impact that pain has on our societies, health and economic systems; develop and foster national and European-wide policy strategies and activities for improved pain care, and encourage coordination between the various stakeholders. View SIP Malta Press Release. Visit Facebook Page of the Societal impact of Pain. The following is a link to the Pain Roadmap for Malta, produced in collaboration with SIP Malta, the Malta Health Network and the No Pain Foundation.